You feel good when you look good. That's especially true when it comes to important events like your prom night or your wedding day. 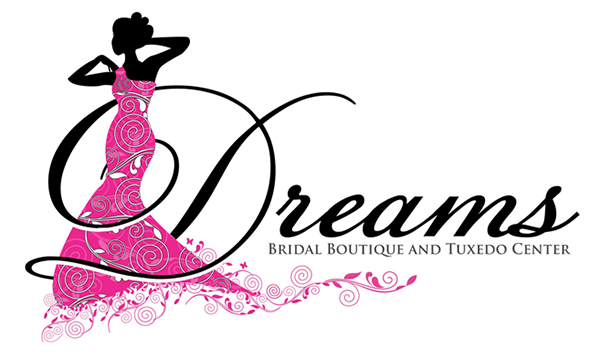 Dreams Bridal Boutique and Tuxedo Center is a formal wear store that offers tuxedos, dresses and shoes at affordable prices. Need a tuxedo for an upcoming prom or wedding? We partner with Jim's Formal Wear to provide people with dashing tuxes for any occasion. Flip through our catalog to see the kinds of suits and tuxedos available for you to order. Stop by out formal wear store in Augusta, ME today to browse our impressive collection. You won't know for sure it's the right dress until you've tried it on. You can do that here. Bring along your friends, family and trusted advisers to provide feedback as you pick and choose your wedding dress. Our bridal shop features a wide variety of gowns made by top designers. Call 207-480-1446 today to schedule a consultation at our bridal shop in Augusta, ME. Why come to Dreams Bridal Boutique and Tuxedo Center? At our bridal shop, your options aren't limited to just the formal wear on the racks. If you can't find your size or preferred style and color, we can order it for you. Since opening three years ago, we have worked hard to help brides find the dresses that suit them best. We only host two bridal consultations at a time. This way, each bride gets the time, attention and quiet they deserve. Every bride should have the opportunity to feel beautiful. The feeling of trying on your wedding dress for the first time can't be replicated or replaced. We'll make sure it's special for you.